In our first two articles, we looked at the top ten ingredients to look for in Energy/Sports Drinks and the top five Energy/Sports Drinks to avoid. In this article, we will look at the top five Energy/Sports Drinks you should seriously consider drinking on race day. Although nothing beats proper nutrition and training, the right Energy/Sports Drink can give our bodies what the need to keep us working at our peak performance. This can go a long way in our success during races and training sessions. As we pointed out in the second article of this three part series, some drinks can actually do more harm than good. That is why it is so important to read the nutrition label and understand what is in a Energy/Sports Drink when considering if it would be the right choice for you.. In this, our third and final article on the matter, we will look at five Sport/Energy Drinks you should consider when your races last 90 minutes or longer. 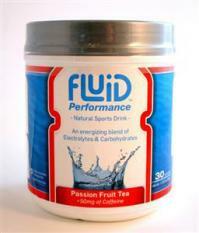 If you’re looking for the most complete sports drink you can find on the market, this is probably it. HEED is an excellent choice for races lasting under the two-hour mark. HEED comes with twenty-six grams of carbohydrates per serving, with only two of those grams coming from sugar. The rest of those carbohydrates come from a good source to ensure you have a better consistent level of energy to avoid wild fluctuations in energy levels. HEED provides several electrolytes beside the standard sodium and potassium found in most sports drinks as well as vitamin B6. Additionally HEED come with two amino acids, L-Carnosine, which has shown to increase your strength, endurance as well as oxygen delivery to muscle tissues. The other amino acid is L-Tyrosine, which is utilized to make adrenaline, which increases your heart rate and keeps you alert. CytoMax is a good choice as well with twenty-two carbohydrates in each serving, which twelve of those carbohydrates come in the form of simple carbohydrates or sugar for a quick digesting energy source. Although there is a bit more sugar in CytoMax then HEED, there is still much less sugar than you would find in the more popular energy drinks. CytoMax is complete with not only sodium and potassium, but offers a full spectrum of electrolytes. Alpha-L-PolyLactate, which is found in CytoMax has also be found to help deliver energy more quickly to the working muscles and helps protects the muscles from the build up of lactic acid. This is another great choice by Hammer Nutrition. Perpetuem is a great choice for races lasting in the ninety-minute range or longer. Much like HEED, Perpetuem comes with most of it’s carbohydrates in the form of complex carbohydrates. With fifty-four grams of carbohydrates per serving and only seven grams come from sugar. Perpetuem also provides seven grams of protein per serving, which helps to prevent muscle cannibalism and provides a source of energy too. Add a couple healthy fats, a full spectrum of electrolytes, twenty-five mg of caffeine and a few amino acids for increased fat metabolism for energy and enhanced oxygen delivery to the working muscles and you have a complete Sports Drink for hours of sustained energy and optimal performance. Fluid comes with twenty-four grams of carbohydrates, which most are from high starch, low sugar carbohydrates for sustained energy. Eight grams of those are sugar to provide some quick digesting energy. Fluid Performance does provide a good amount of electrolytes, although not as many as in our top three choices there is still a broad spectrum of electrolytes included as well as fifty mg of caffeine for an added kick if you need it. Although not an actual Energy or Sports Drink, there are many benefits to adding an endurance supplement to your Energy/Sports Drink regimen. Endurance supplements consist of such products as Cardio Surge Energy, Race Caps Supreme and Endurogen, just to name a few. Although Endurance Supplements doesn’t provide any of the carbohydrates or fluids an Energy/Sports Drink would provide, they often provide many of the ingredients most Energy/Sports Drinks are missing. A good endurance supplement provides not only sodium and potassium, but also a full spectrum of electrolytes. Additionally a good endurance supplement may provide some vitamins for increased energy and possibly other vitamin, such as vitamin D3 for improved calcium absorption (one of the electrolytes). When selecting an endurance supplement, make sure it comes complete with a digestive enzyme blend, which helps your digestive track utilize the maximum amount of nutrients from the electrolytes, carbohydrates and proteins you might consume before, during and after your race. Cardio Surge Energy and Race Caps Supreme are two endurance supplements, which offer digestive enzymes in them. Finally, when selecting your endurance supplement, by sure it offers a broad range of amino acids that help metabolize body fat for energy, increase your body’s VO2 Max (oxygen utilization) while eliminating waist, so your muscles can work longer and recover quicker. Many endurance supplements come free of caffeine or other stimulants, so you won’t get any jittery feelings or abnormal heart rate as many thermogenic fat burners can cause. So there you have five Energy/Sports drinks you should strongly consider when selecting you race day Energy/Sports drink selection. Although your favour may have not made this list, the key is to always carefully read the nutrition label and make sure you’re choosing an Energy/Sports drink that will help you at your next race.